VANCOUVER, BC – Steamworks Brewing has announced the return of its fan favourite autumn seasonal for another year. 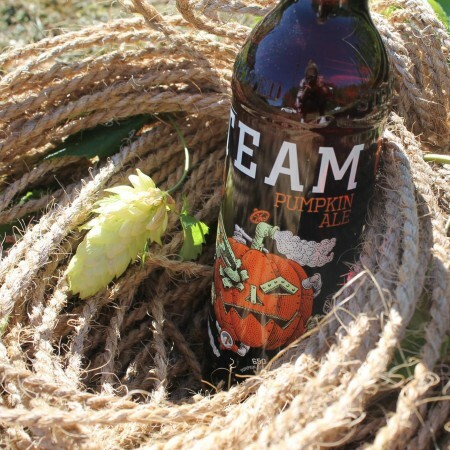 Love ’em or hate ’em there isn’t a seasonal beer style more ubiquitous than Pumpkin Ale. We’ve made this seasonal beer easy to love for over 20 years with over 100 lbs of freshly harvested pumpkin and a blend of cinnamon, nutmeg and clove. Put down the PSL and celebrate the turning of the leaves with our Pumpkin Ale instead. Steamworks Pumpkin Ale is available now in 650 ml bottles at select private and government liquor stores in British Columbia.